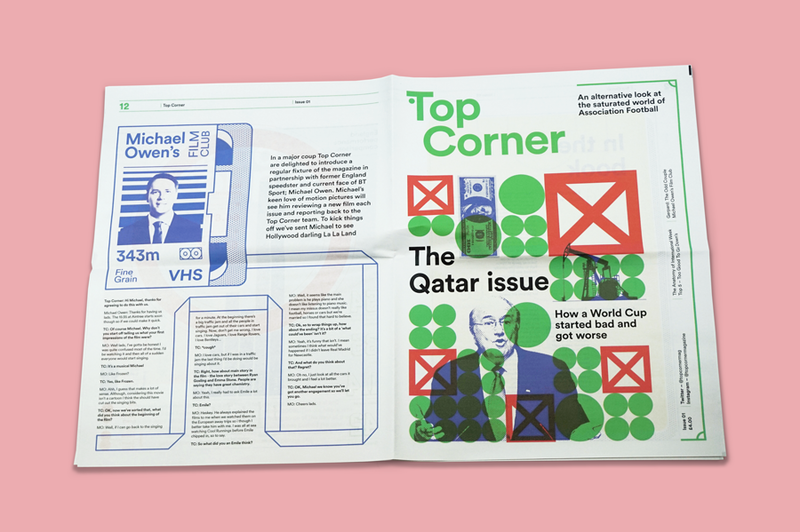 Quirky features, matched with impressive design, are why we've picked the first issue of Top Corner as our Newspaper of the Month. 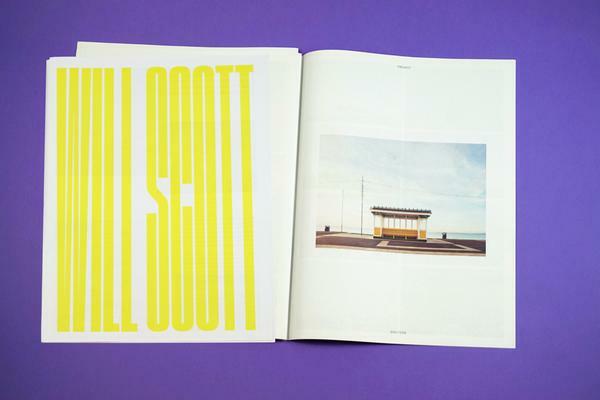 Designer Adam Sharratt and editor Elliott Sheaf had been kicking the idea of a magazine around for years. "We wanted to do something that didn't take itself too seriously and was really accessible," says Sharratt. 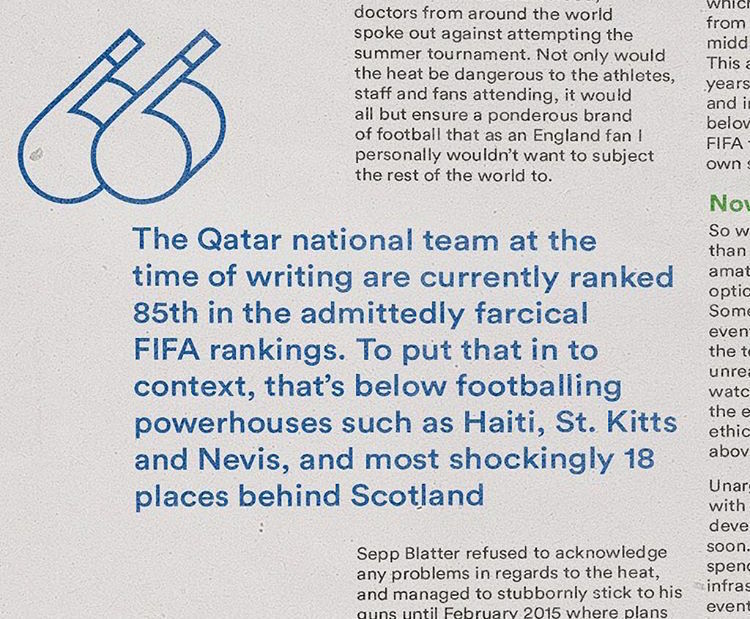 For the first issue, they're digging into the scandal surrounding the Qatar World Cup, with good humour and a healthy dose of cynicism. 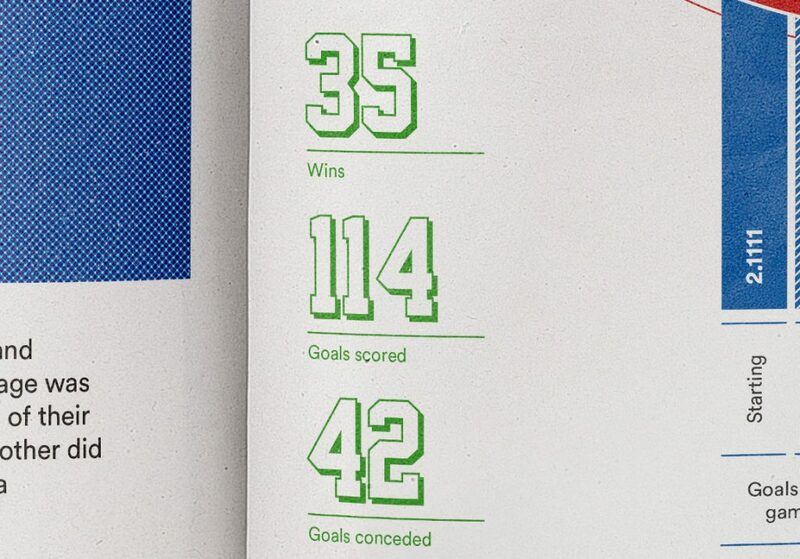 They chose a "utilitarian but beautiful" digital tabloid format to contrast the more polished football zines that Sharratt finds "a bit stuffy." It's not easy to differentiate yourself in a saturated market, but Top Corner has found a niche. One fan describes the magazine's irreverent approach as "a discussion about existential angst that happens to have some football in it." Building an audience from the ground up takes time, but Top Corner already has fans excited to get their hands on new swag – stickers, postcards and even a t-shirt. The biggest surprise, Sharratt tells us, is how many writers, photographers and illustrators have reached out to contribute. 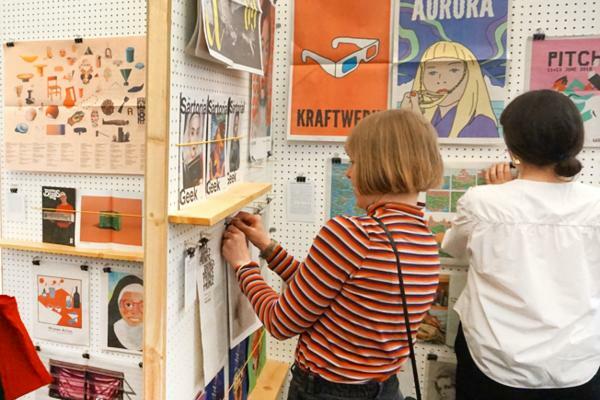 "We're coming into a very tight-knit community, but it's one that's always had independent publishing at its heart," he says. Planning a magazine and finding an audience is demanding enough. 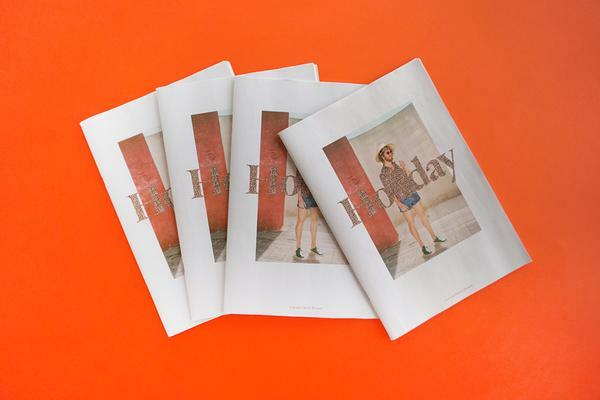 Coordinating printing, sales and distribution on top of that – sheesh. So it was a "no-brainer" to sell Top Corner through The Newsagent, and let us handle the logistics. With no overhead costs, they were able to keep the price down to a cool £4 – and become our top-selling newspaper last month. "The lack of fuss means we're able to crack on with the next issue," says Sharratt. In the works: more photography and a European tour. And when he's not working on Top Corner, how does Sharratt like to spend time with a newspaper? "It's got to be with a Saturday lunchtime pint before kickoff." Looking to get a publication off the ground quickly? Learn more about selling in The Newsagent.